The American Cancer Society recently estimated that about 45,000 new cases of thyroid cancer will be diagnosed in the United States, with three-quarters occurring in women. The overall 5-year survival rate is about 97%, making it one of the least lethal cancers. We are experiencing an epidemic of well-differentiated thyroid cancer, in part due to the widespread use of imaging modalities that detect thyroid nodules and microcarcinomas. Concurrently, there have been a number of recent advances in surgical treatment, as well as diagnostic modalities that allow us to detect small amounts of residual local and metastatic disease. Additionally, a reexamination of past treatment regimens has led to new recommendations regarding the use of radioactive iodine, and to new therapeutic options, such as targeted therapy which have supplanted the use of more toxic chemotherapy for metastatic cancer. Multiple academic organizations have developed consensus guidelines for the management of thyroid cancer, occasionally with conflicting recommendations. In Thyroid Cancer, a renowned group of authors presents a broad overview of the pathology, pathophysiology, diagnosis, and management of thyroid cancer, with an emphasis on recent evidence-based information. 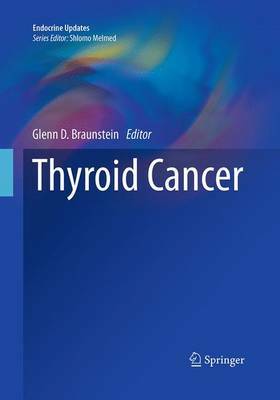 State-of-the-art and a significant contribution to the literature, Thyroid Cancer is an invaluable reference for endocrinologists, oncologists, nuclear medicine physicians, radiation oncologists, primary care physicians, and surgeons who deal with head and neck cancer.